The people over at Tapply.me, a company that curates a portfolio of entertaining apps and games have just published a photo editing app (http://tapply.me). Every once in a while a new iPhone photo app breaks into the scene and completely stands out from the crowd. 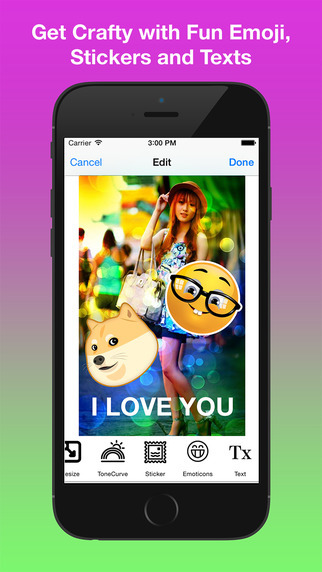 Photo Enhancer PRO: Recolor, Filters, Shapes and Stickers is that app. It is filled with functional and easy to use tools that you might be tempted to replace most of your other photo editing apps with it. The app can help you fine-tune your image or customize it with special effect filters and stickers. There are 14 array of magnificent filters to choose from. Many of its native filters completely outshines the ones offered by the behemoth Instagram itself. The app offers plenty of editing horsepower. It offers your basic tools, like ways to adjust brightness, saturation, contrast, blur and focus. You can resize, rotate or crop pictures. 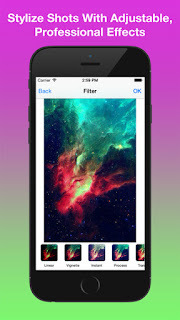 Do you want to use filters or add borders? That’s possible too with this app. Another really great feature not all android image editor apps have that Photo Enhancer PRO has is the option to add text to your image as an overlay; it is very useful as a productive tool or just for fun. The interface is free of distractions and interface clutter. It has a fantastically minimalistic interface with a host of sophisticated features and functions. 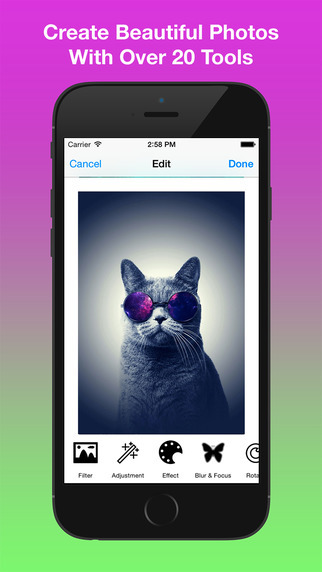 This is a mature, simple, fast and powerful app that edits your images. The app is very user friendly and easy to navigate. Download the app and see for yourself just what you can discover and create! This app doesn’t just edit your photo; it transforms it into a masterpiece, ensuring that you garner those cherished LIKES from your friends on social media! Go check this app out in the app store now by searching “Inqubus Inc” or “Photo EnhancerPRO: Recolor, Filters, Shapes and Stickers”!